Q. Can you tell me about your Hebrew School? A. 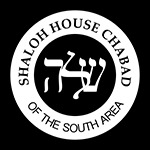 The Shaloh House Hebrew School has been developed with the intent to instill a sense of pride and love of Judaism in every child. Here children don’t just learn about our heritage but also get the opportunity to experience the joy of Judaism first hand. For the last ten years, Shaloh House has been serving the entire south of Boston area, with families coming from Raynham to Canton, from Mansfield to Brockton. Q. How can I fit Hebrew school into my family’s busy schedule? A. Our Hebrew school classes are held on Sunday mornings from 9: 00 am to 12:00 noon to accommodate your family’s busy lifestyles. However, if you wish additional classes, you may also enroll your child for our Wednesday classes from 4:00 to 6:00 PM. Q. Will my children learn as much as in any other Hebrew School? A. Absolutely! While classes are only once a week, we do cover every Hebrew subject necessary for your child’s education. Your children will learn to read and write Hebrew, the Jewish laws and customs, holidays, history and tradition, prayer and more. Students achieve a higher academic standard than the average Hebrew School. Q. I could remember my Hebrew School days – they were tedious and boring. Will my child have a more positive experience? A. Yes. We will show you how your child will have the most exciting time of his/her life. Our lessons are delivered in a most creative manner with contests and competitions to enhance the interest and participation of each child. Q. What about your teachers? A. Our teachers are selected for their experience and creativity. We constantly work together with our teachers to develop and build on our teaching methods. Q. Do you also have Children’s religious services? A. One of our priorities is that a student should understand the Synagogue prayers, melodies and to feel comfortable in a Synagogue setting. As part of our curriculum we pray in every class and we also have a special Shabbat children’s service several times a month. Q. What will my child do for Bar/Bat Mitzvah? A. The Bar/Bat Mitzvah is a very important part of a child’s education. We prepare your children for their Bar/Bat Mitzvah ceremony, and it can be held at our own Synagogue. Q. Will I have to pay a membership? Unlike your common Hebrew school program, with Shaloh House you don’t pay any membership or building fund, but a nominal, very affordable monthly tuition fee. We are located in the Cobb Corner area, off Rt. 27 inside the Knollsbrook Condo. Most convenient for the Stoughton, Sharon, Canton and Easton communities. Q. How can I sign up? A. Fill out this online form to request an appointment to visit our school and to talk with the rabbi. For more information about our curriculum click here, or register now using our online form.